Let me introduce to you Nanny Pat! She’s always coming up with great ideas and tips and tricks when it comes to cooking. After all, Nanny Pat LOVES to cook! Here we have an ingenious way of keeping your meat moist and cooked quicker on the grill. It’s sure going to start conversation too! Let’s see what Nanny Pat does with those bricks of hers. 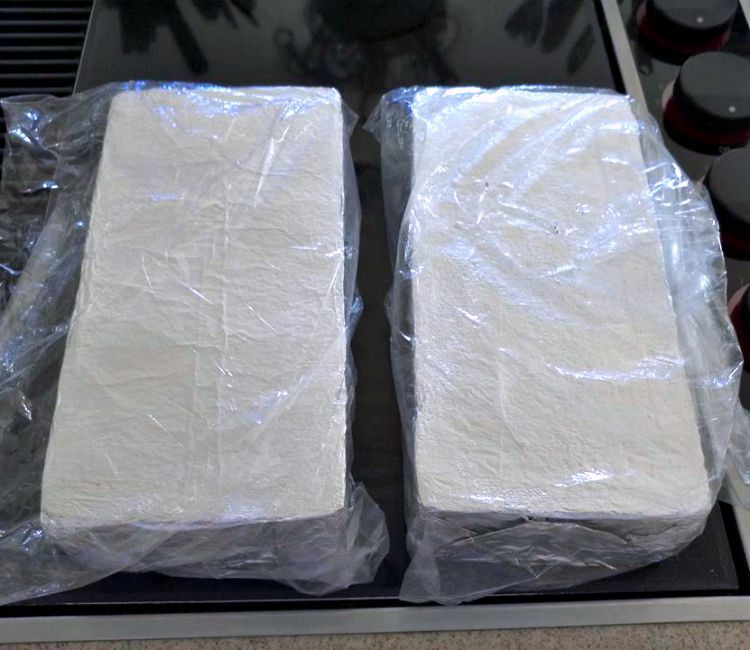 I keep the bricks wrapped in a new piece of regular foil in plastic bags, and then remove them from bags and cover them with heavy duty foil, when ready to use on the grill. 1. Add the flavours and seasoning you wish to your meat. 2. Place the bricks (wrapped in the heavy duty foil) on the grill to get hot first. This will help the meat cook faster. 3. To have nice crisp chicken in the grille, I put the bricks on top of the chicken, start with the NON skin side down on the grill first, then when that’s done, turn over, place the bricks back on the chicken until done. 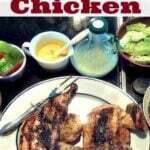 Delicious Moist and crispy chicken! Serve with your favourite salads and dips. Add the flavours and seasoning you wish to your meat. 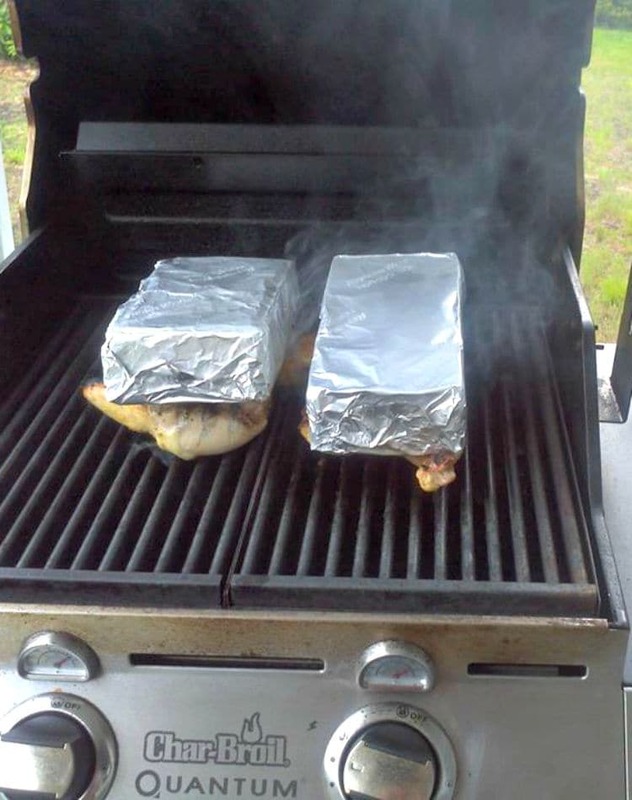 Place the bricks (wrapped in the heavy duty foil) on the grill to get hot first. This will help the meat cook faster. 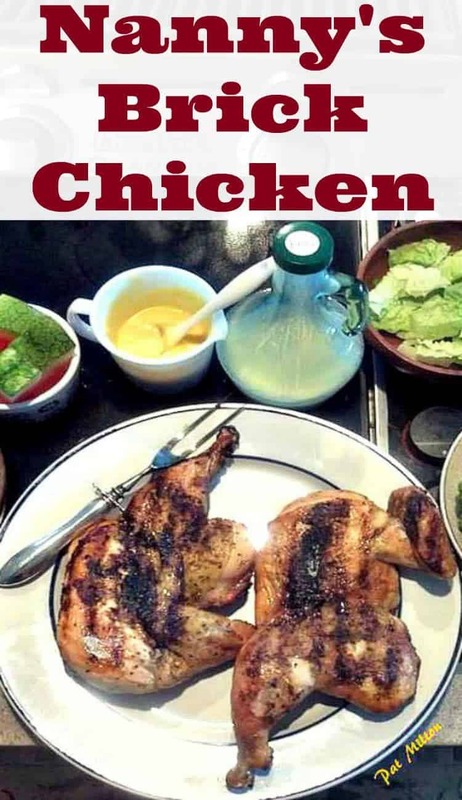 To have nice crisp chicken in the grill, I put the bricks on top of the chicken, start with the NON skin side down on the grill first, then when that's done, turn over, place the bricks back on the chicken until done.